The set of beautiful cascades forming Thusharagiri waterfalls is located in the hill ranges of Western Ghats, east of Kozhikode. Of these multiple waterfalls, the first three are within 500 metres and easy to reach. They are Earattumukku, Thanni Muthassi and Mazhavil Chattam falls. The next one, Thumpi thullum para waterfall, is about 1 km into the woods. There are a couple more waterfalls deep into the forest, within 5 kms. Hike through dense evergreen forests itself is hard not to mention climbing steep rocks. Possibility of sudden encounter with wild animals adds an extra dimension of risk. As a result, enjoying the beauty of first two Thusharagiri waterfalls is limited to the very few, who are ready to take the extra miles. Two streams merge up the hill thus becoming Chalippuzha River. Further along its course, the river split and cascade down as three separate yet adjacent waterfalls. Fine droplets from the waterfalls clad a silvery veil over the mountain. Hence the area came to known as Thusharagiri - the mist capped mountain. To prevent mishaps, during peak monsoon, officials secure the area around the waterfalls with chains. After monsoon, chains are removed. Then visitors are allowed access to get busy with refreshing dips. Drawing visitor’s curiosity are the plantations along the hills and valleys. Rich green with dense growth of rubber, areca nut, pepper, ginger, spices and other plants, they stand as a testimony to the life time efforts of early settlers. Settlers reached here from South Kerala in search of a better life. Since early 1900’s, battling with the wild, they created thriving plantations, relying on the region’s fertile red soil. Thusharagiri woods seamlessly join Wayanad forests. There is a trek path from Thusharagiri to Vythiri in Wayanad and it is not for the faint heart. 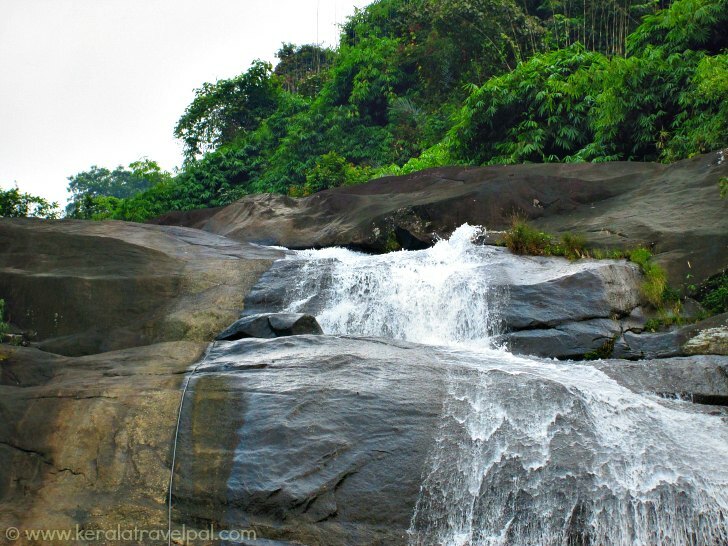 Starting from Thusharagiri falls in the morning, Vythiri can be reached by evening. Thusharagiri area is great for trekking and rock climbing. 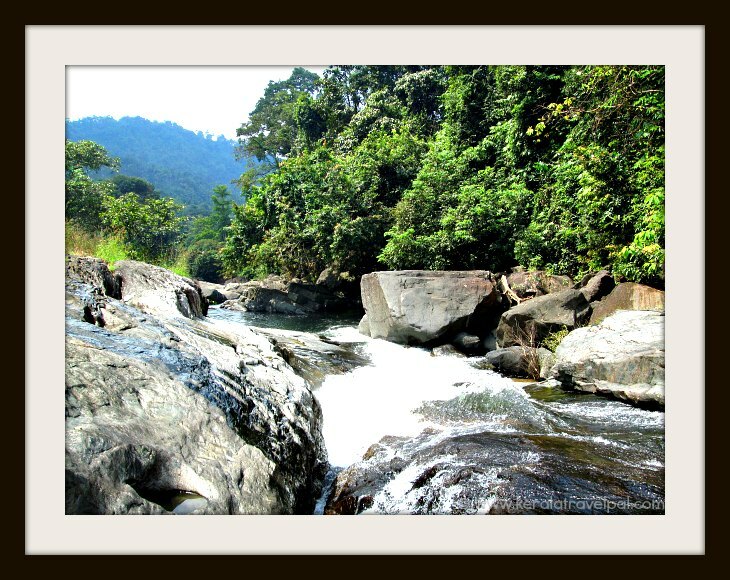 An ideal destination for nature lovers and wild life enthusiasts, this Kerala waterfall is also a great picnic spot as well as a nice romantic retreat. 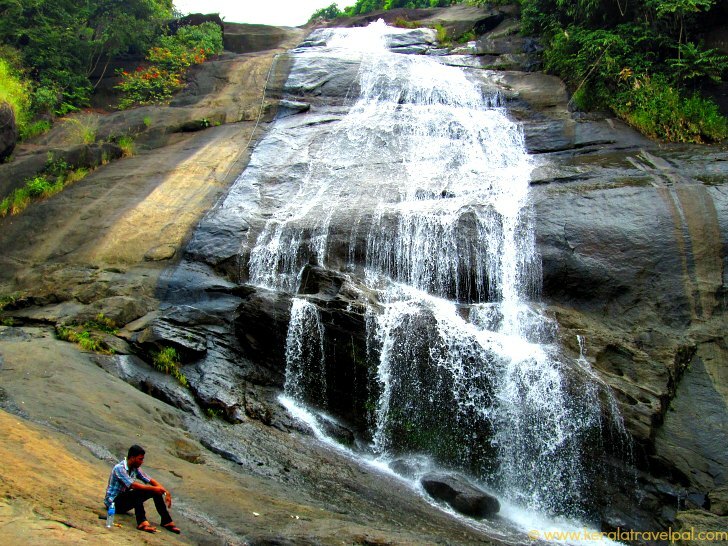 Thusharagiri waterfalls never dry out so can be visited throughout the year. Monsoon starting from June brings plenty of water thus creating a great roar. However, because of heavy down pour and slippery conditions, peak of monsoon is not an ideal time to visit here. The best time to visit Thusharagiri waterfall of Kerala, is from September till December. Heavy rain recedes by then. Thusharagiri is about 50 kilometres from Calicut via Thamarasseri. The nearest town Kodencheri is 11 kilometres away. There are a few stay options and restaurants near Thusharagiri. To be better prepared, you can pack your supplies from the small towns of Thamarasseri or Kodencherry. Nearest towns : Kodencherry at 11 Kms, Thamarasseri at 17 Kms, Thiruvambady at 18 Kms and Kozhikode at 50 Kms. Food Options : No food available near waterfall. A few local restaurants at Kodencherry. More restaurants at Thamarasseri and Thiruvambady. Better eating options at Calicut City. Accommodation Options : A few accommodations near the waterfall. Hotels and lodges at Calicut. Best time to visit : September to December. Can be visited anytime during the year except peak monsoon (June-August). Nearby Attractions : Lokanarkavu Temple,Thali Temple , Kadalundi Bird Sanctuary, Vythiri, Kappad beach, Beypore beach, Kozhikode City (shopping & food) and Kozhikode backwaters.